Fans stormed Mohamed Salah’s House In Egypt after his address was leaked on social media. The 26-year-old was already back in Egypt after his country crashed out of the 2018 World Cup in Russia. 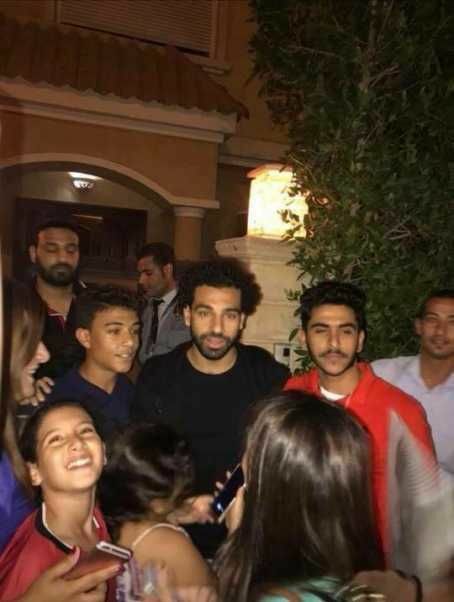 Salah was relaxing at his home until fans stormed outside his door in Egypt. The Liverpool Star joined the massive crowd outside and then signed autographs, took selfies also accepted their gifts and flowers. However, the number of people who stormed his house interrupted the flow of traffic in the area, which resulted in police intervention.